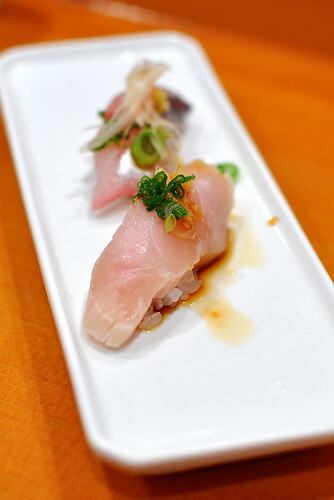 Considering my general adoration of raw fishes, I’m surprised that it’s taken me so long to make my way to Sushi Gen. With my mom in town for business and my birthday just around the corner, I had the perfect reasons to finally sit down for dinner at Little Tokyo’s premier sushi destination. 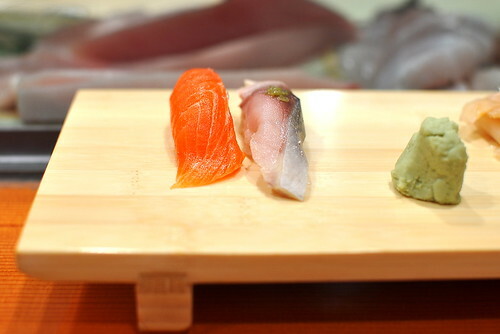 Mom and I had a choice between a table in the dining room or a seat at the sushi bar. 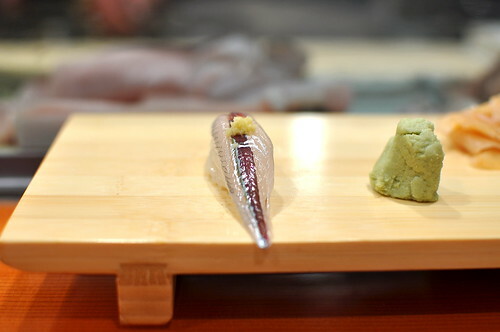 We went with the latter and were seated in front of Kazu-san. 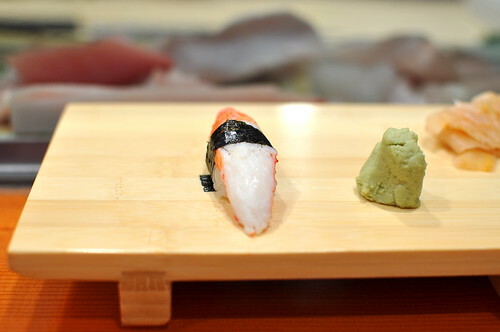 What’s notable about Sushi Gen’s sushi bar is its shear size. 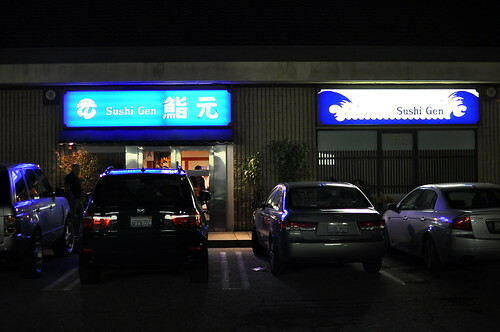 Whereas most sushi bars in L.A. are staffed by two or three chefs, this one had five or so men behind the counter serving the restaurant’s perpetually packed dining room. The energy level here was also more vibrant than most due to the number of people in the house. The vibe wasn’t exactly zen, but I quite liked the high spirits. 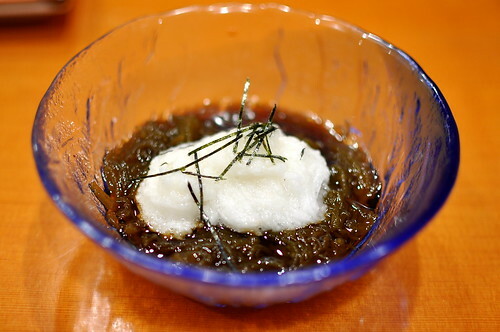 To start was a marinated seaweed salad topped with a goopy dollop of mountain yam that tasted refreshing and tangy, but not exactly delicious. 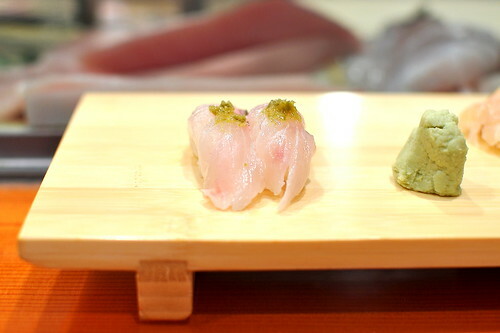 The first sushi offering was a duo of snapper topped with yuzu kosho. 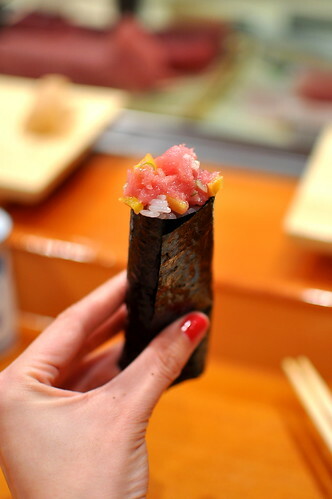 While I can describe most any dish in vivid and varied prose (even after 1,000+ blog posts), sushi seems to be my food writing Achilles heel. After using the words fresh, pristine, and impeccable so many times, I find myself out of verbiage on the subject. 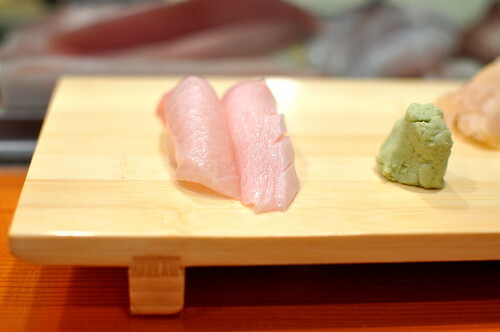 So, trust my sparse text to mean that Sushi Gen’s fishes this evening were fresh, pristine, and impeccable. 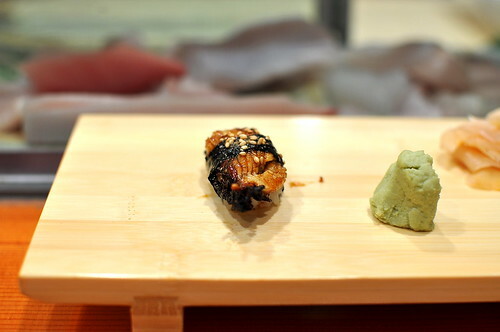 …and finally, freshwater eel painted with a sweet glaze and topped with toasted sesame seeds—my mom’s all-time favorite sushi. 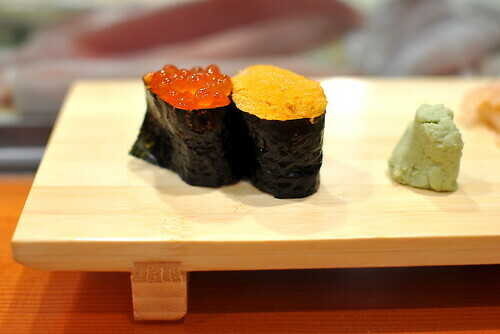 After eating to our hearts’ content omakase style, the grand total came out to $100 per person. 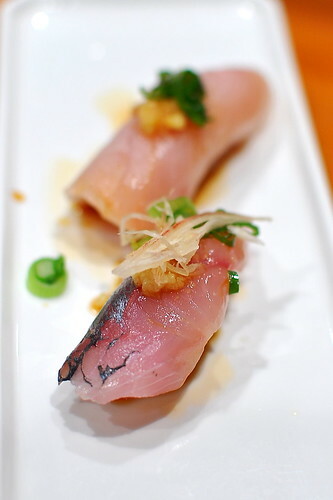 I returned to Sushi Gen a week later with my friend Lien to sample the restaurant’s famous sashimi lunchtime special. 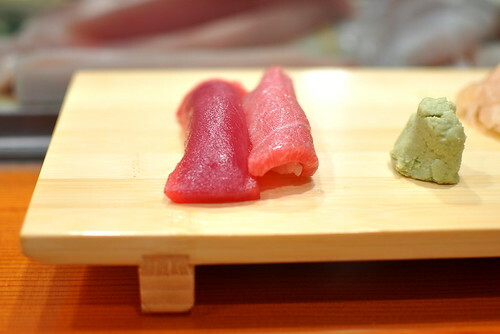 After enduring an hour long wait, we were treated to a platter of gorgeous and generously portioned tuna, yellowtail, salmon, and even toro (tuna belly) for just $15. Also included were three varieties of chopped fishes, one spicy and the others with scallions, broiled fish, squid, and braised fish that tasted like Vietnamese ca kho. 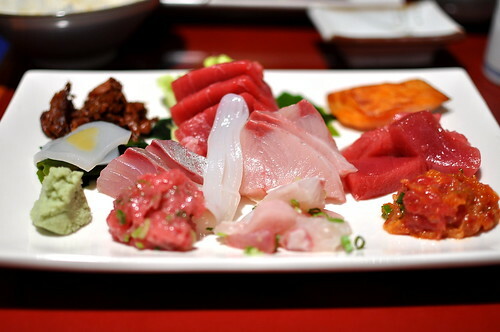 The sashimi wasn’t as precisely cut as the pieces that Mom and I were treated to at the sushi bar, but given the cost of our feast, Lien and I certainly weren’t complaining. 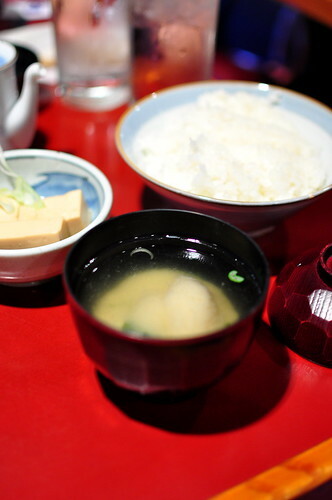 Rounding out the lunchtime special was miso soup, sunomono (cucumber salad), steamed rice, and soft tofu in a mild broth. We left stuffed. 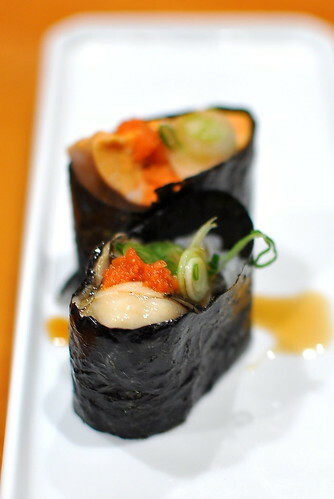 While dinner at Sushi Gen isn’t as savvy a steal as the lunchtime special, it remains one of the best options in the area with regards to quality and service. Now that I’ve experienced the most luxurious menu option and the most bargain one, I am looking forward to returning to take the middle road. I’m sure it will be solid. 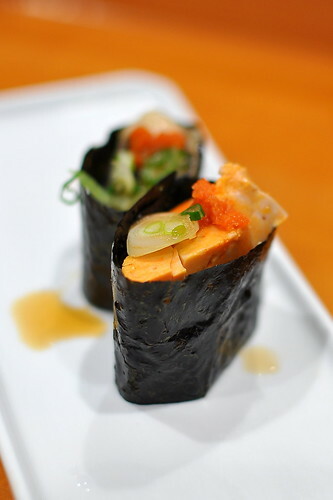 I was waiting for you to review our favorite sushi bar in SoCal! 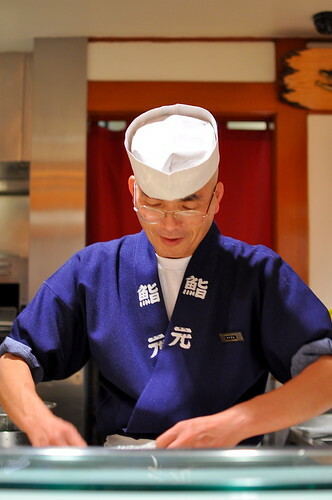 And then a picture of our favorite sushi chef too! Forgot to ask – which day did you return for lunch? 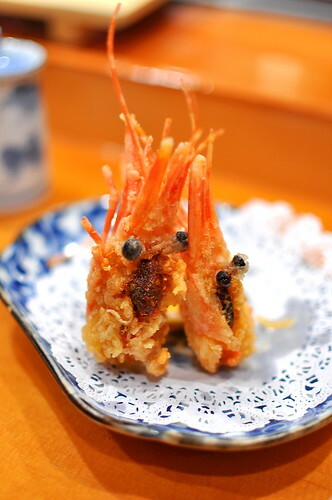 I’m always keen to know in regards to sushi restaurants due to fish freshness. Its awesome! 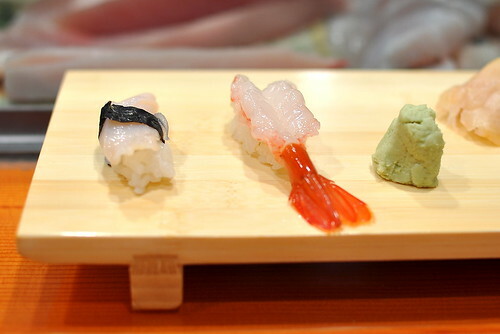 Sushi is my always favorite Japanese food.